"How would Lubitsch do it?" Jenny He has curated film programs and gallery exhibitions for institutions including the Museum of Modern Art, the 92Y Tribeca Gallery, and the Museum of the Moving Image in New York; the Australian Centre for the Moving Image in Melbourne; the Los Angeles County Museum of Art; Cinémathèque Française in Paris; and the Deutsche Kinemathek (formerly Filmmuseum Berlin). She currently serves on the jury for the 2018 Art of Creativity Awards and Ilustrarte 2018, the international biennial of illustration. 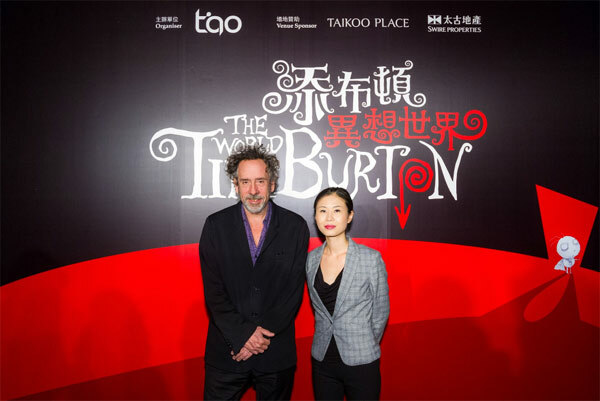 Her current exhibition, The World of Tim Burton, is traveling internationally. Tour schedule: City Gallery Prague: The Stone Bell in the Czech Republic (March 28–August 3, 2014), the Mori Arts Gallery in Tokyo, Japan (November 1, 2014–January 4, 2015), the Grand Front Osaka: Knowledge Capital Event Lab in Japan (February 27–April 19, 2015), the Max Ernst Museum in Brühl, Germany (August 16, 2015–January 3, 2016), the Museum of Image and Sound in São Paulo, Brazil (February 3–June 5, 2016), the Lafayette Art and Design Center in Shanghai, China (June 26–October 10, 2016), ArtisTree, Taikoo Place in Hong Kong (November 5, 2016–January 23, 2017), Museo Franz Mayer in Mexico City, Mexico (December 6, 2017–April 8, 2018), and C-mine Cultural Center in Genk, Belgium (August 15–November 28, 2018). Upcoming exhibitions include Tim Burton @ The Neon Museum in Las Vegas (October 15, 2019–February 15, 2020).